WordPress may be the most popular Content Management System (CMS) in the game, but it’s by no means the only one. In fact, if you want an advanced solution that is more targeted at developers, you may find Drupal is more to your liking. 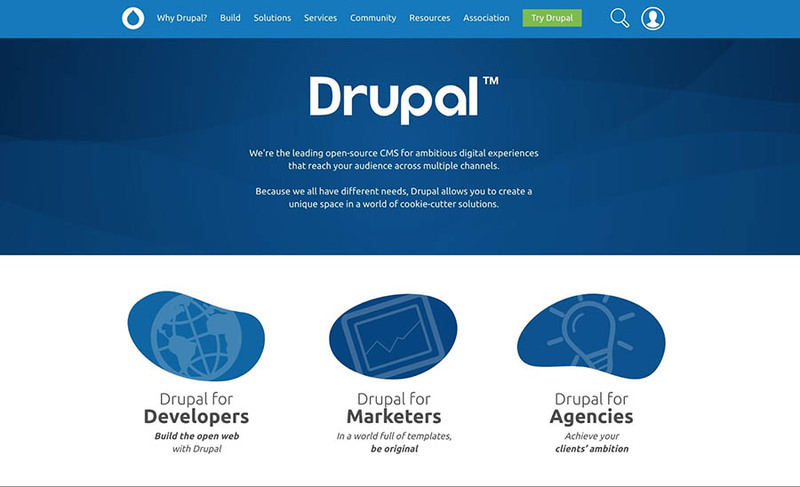 Drupal is one of the most popular CMS platforms, thanks to its extensive functionality. Due to its complexity, it is commonly favored by developers and other advanced users who want to create secure, scalable, and ambitious websites. In this article, we’ll introduce Drupal and discuss its pros and cons. We’ll also talk about its advantages when compared to other CMS platforms and show you how you can start using it to create your own site. Let’s get to it! It may surprise you to learn that when it comes to CMS options, Drupal is one of the longest-running platforms. It started in 2000 — several years before WordPress and Joomla! were a twinkle in their respective creators’ eyes. At the time, Drupal was meant as a humble message board, enabling a few students to communicate with each other. However, the following year it evolved into an open-source project and has since grown to become one of the most powerful and popular CMS platforms on the web. It currently runs nearly 2 percent of all websites, making it the third most commonly-used CMS. Drupal sets itself apart from its main competitors, as it’s a more flexible and developer-focused platform. While solutions like WordPress and Joomla! focus on being easy-to-use and beginner-friendly, Drupal is a CMS made by developers for developers. This has resulted in Drupal being used by many larger and more advanced sites, where security, speed, and stability are the main concerns. Among the sites that run on Drupal, you’ll find plenty of universities, governments, museums, and environmental organizations (among others). As we’ve already mentioned, Drupal stands out from its main competitors by being a more advanced and developer-focused CMS. Due to this fact, there’s a common misconception that Drupal is difficult to use, which is largely not true. Rather, it can be difficult to start using, as there’s a fairly steep learning curve, especially if you’re more familiar with the straightforward interface of WordPress. In return for this greater time investment, Drupal offers a lot of features and functionality that more than make up for the initial challenge. If you’re willing to take the time to learn the ropes, Drupal will provide you with a lot of neat options, such as advanced user permissions, more content types, and the ability to handle massive sites with thousands of pages. That last point is particularly important, as it’s something WordPress can sometimes struggle with. WordPress initially began life as a blogging platform, and although it’s grown up a lot since then, much of its functionality still caters to small and medium-scale sites. In contrast, Drupal was designed from the ground up to help developers create bigger sites with more advanced structures and higher traffic levels. 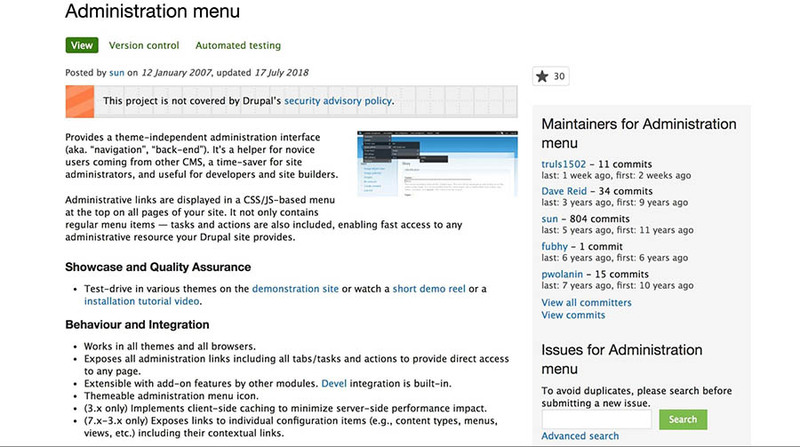 To support this goal, Drupal also comes with caching features and increased security included by default. Thanks to its advanced functionality, Drupal is an ideal choice for any site where stability, security, speed, and flexibility are absolute necessities. Drupal also lends itself to sites that require more complex structures and massive amounts of data. This includes high-traffic sites, such as user communities and social media platforms, as well as sites for governments, educational institutions, and other major organizations. It’s also ideal for developers who want total control over their projects to create more ambitious sites. On the other hand, if you’re a less-technical person who wants a more immediately-intuitive system, WordPress is likely still your best choice. 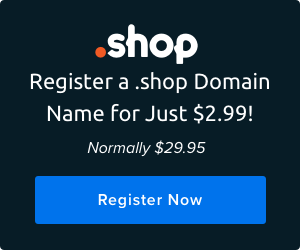 This is especially true if your site has a smaller scope, such as a personal blog, portfolio, magazine site, or even a modest e-commerce store. Of course, which CMS you decide to use depends entirely on your preferences. Fortunately, like WordPress, Drupal is both free and open source. That means you can download and test it without having to commit financially. To give this platform a spin, you can set up a staging site and install Drupal to try it out yourself with no commitment or risk. Drupal even offers several services to help you set up free demo sites in minutes. Now, it’s time to get up close and personal with Drupal. In this guide, we’ll introduce you to the basics of the platform — including how to install it, start creating content, and expand its features. 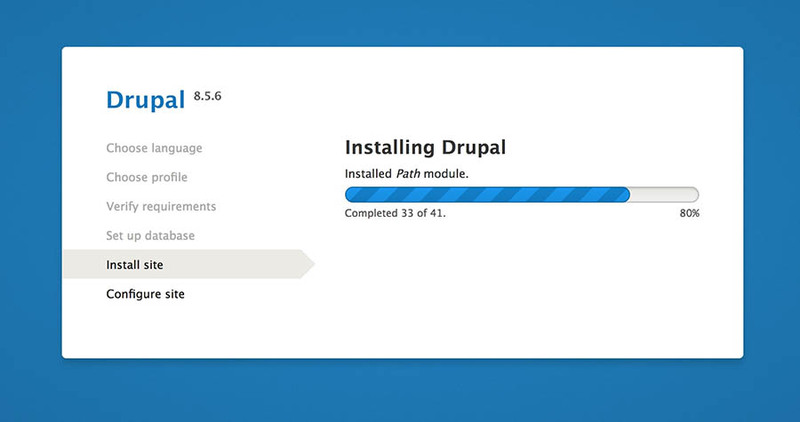 The installation process for Drupal is a little more involved than with many similar platforms. The reason for this is that you will usually need to manually install the software on your site, rather than relying on one-click installs. To perform a manual installation, you will first need to have a local environment or a site where you want to install Drupal. You’ll have to make sure it meets the minimum requirements in order for the software to run correctly. You’ll also need a MySQL database that the site can use. Once that’s out of the way, there are several methods for installing the platform. For instance, you can start by downloading Drupal from its website or use the command line to get the files you need. For more information about the different ways you can install the core files, we recommend that you refer to Drupal’s extensive official documentation. When Drupal’s files have been installed on your site, you can configure your installation. All you need to do is to access your site using its standard URL, which will present you with the Drupal installation wizard. 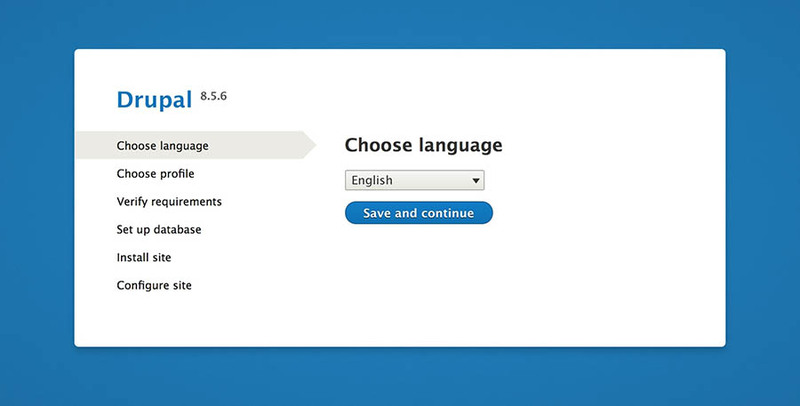 In this first section, you’ll be asked to select your site’s language. After that, you can choose if you want to perform a Standard or Minimal installation. This determines how much you’ll be able to alter the default installation settings. Most beginners would do well to choose Standard, unless you want to configure your installation with more advanced settings. What you pick here will affect the wizard’s follow-up questions, so proceed to make whatever selections you require. If in doubt, the official documentation should again be your guide. 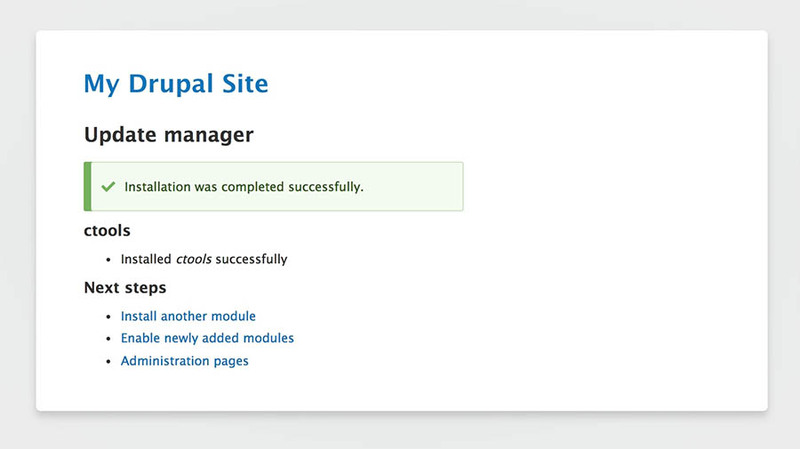 When you’ve completed all the required sections, the installer will add the Drupal software to your site. 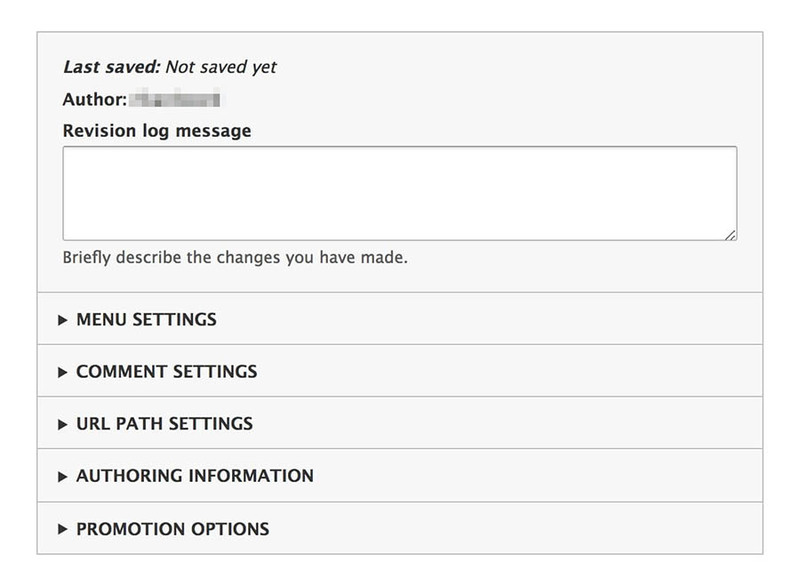 Once that’s finished, you can configure your site’s settings and details. For example, this is where you can choose your site’s name and create your own administrator account. After you’ve entered all the required details, you can save your settings. Drupal will now be installed on your site, and then you’ll be taken to its new homepage. With that, Drupal is up and running! At the top of the screen, you’ll see an admin toolbar containing several key options. Next up, we’ll show you how to begin creating content for your site. While there’s obviously a lot you can accomplish with Drupal, let’s start with the basics: creating new content. Drupal offers plenty of options in this regard, including custom content types. For this example, however, let’s just focus on how to create a single post. To do this, you’ll want to select the Content option in the upper admin bar. If that option isn’t visible, click on Manage to expand the bar. This takes you to your Content page, which displays everything that already exists on your site. Naturally, this will be empty right now. To create something new, you’ll need to select Add content. After that, you’ll be asked what content type you want: an article or a page. 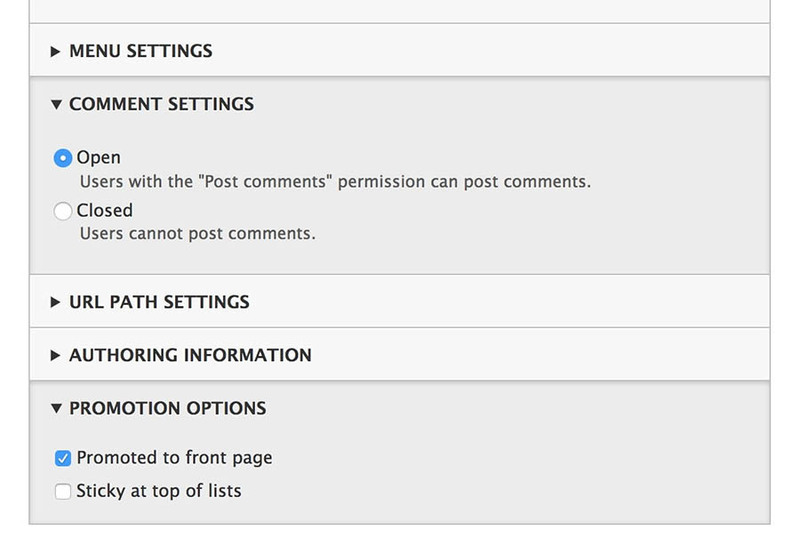 If you’re familiar with WordPress’ posts and pages, these options work in much the same way. Articles are primarily used for blog posts, updates, news, and other time-specific content, while pages are best suited to static information. In this case, let’s create an article. When you click on that option, you’ll be taken to Drupal’s content editor. Once again, if you’ve used any content editing interface before, most of the fields here will likely be self-explanatory. You can add the actual contents of your article in the Body field and format it using the menu right above. Underneath that, you’ll be able to add tags to your article and select an image to accompany it. You can then turn your attention to the menus on the right-hand side of the page. This is where you can configure your article’s settings. Each section can be expanded to reveal the options it contains. Among other things, you can determine if the article should be featured on your site’s front page, if comments should be enabled, and who the author of the article will be. One important field here is the Revision log message, which you can use to describe what changes you make to the content. These messages will be saved in a log that aids both you and your collaborators, as everyone can easily tell what alterations have been made each time the content is edited. When you’re done creating your article, all you need to do is click on Save. This will add the article to your site and automatically take you to see it on the front end. Now that you’ve successfully added content, let’s look more closely at how you can expand your site with new features. 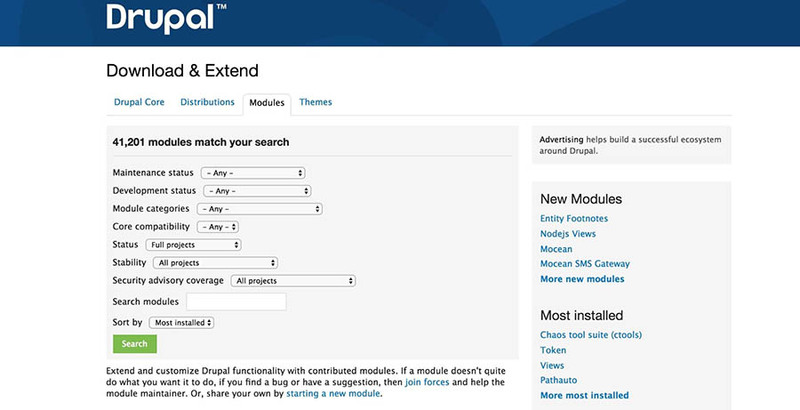 The easiest way to find these tools is to browse the Drupal Modules page. This is a repository containing over 40,000 modules that you can download and add to your site. You can use the drop-down menus to refine your search and find tools with a specific purpose or status. To see more information about any given module, simply click on it in the search results. This takes you to the module’s page, where you can find more details. If you want to download a module, you can find links by scrolling down to the bottom of this page. Once you have a module file saved to your computer, you’ll need to return to your site to install it. Find and click on Extend in the admin toolbar. This takes you to a page where you can see all modules that are currently installed on your site. At this stage, these will likely just be the core modules we mentioned earlier. To add a new one, select the Install new module button, which will take you to the following page. As you can see, you can install a module by providing a direct link to the file or by uploading it manually. When you choose Install, Drupal will upload and install the module to your site, after which you’ll see a message letting you know if the process was successful. You’ll then need to enable the module. This is because installed modules won’t actually do anything until they’re activated. To do that, return to your Extend page and select the module you just added. Then, click on Install at the bottom of the page. 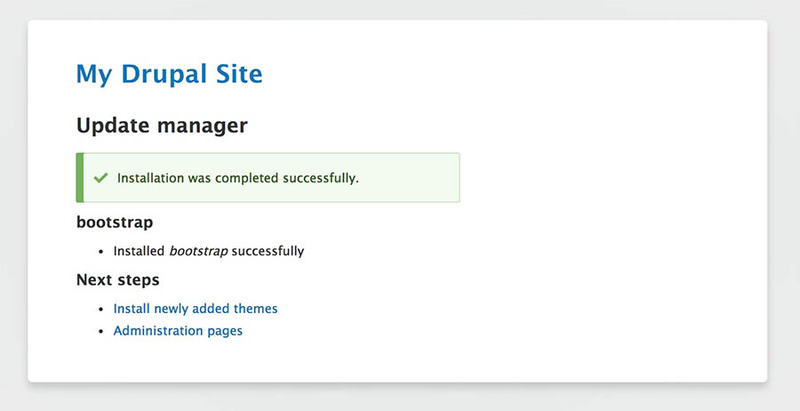 Once that’s done, the selected module will be active on your site and you can start using its features right away. Finally, let’s end our beginner’s guide to Drupal by looking at yet another way you can enhance your site. 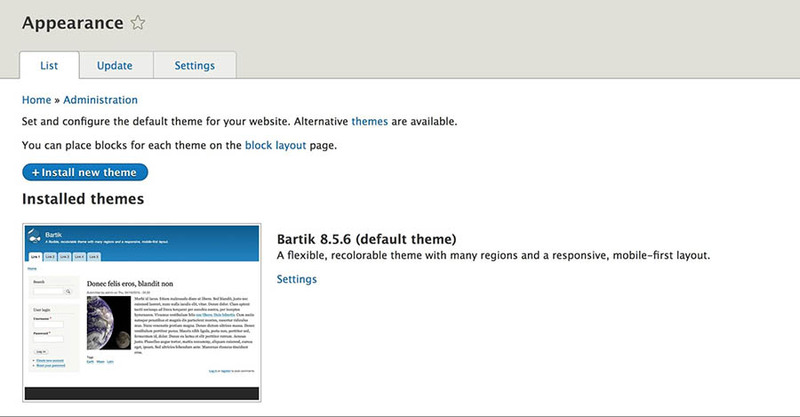 This time, we’ll show you how to change your site’s look and layout with a Drupal theme. Themes work similarly to modules, but they are solely focused on altering your site’s appearance rather than its functionality. You can find both free and premium themes all across the internet. However, a good place to start is the official theme repository. This should look pretty similar to the module repository we showed you in the previous section, and it works the same way. You can browse themes, click on them to view more details, and download them using the links on each one’s page. Once you’ve found a theme you want to install on your site and downloaded its files, you’ll want to select Appearance in your admin toolbar. You’ll see all the themes that are already installed, which should include one or more default themes. Next, select Install new theme to visit another familiar-looking page. This process works exactly the same as when you added a module in the previous step. Simply paste in the URL for your theme or upload the compressed file that you’ve downloaded and then click on Install. When the installation is complete, you’ll see a confirmation message. Next, you’ll need to activate your theme to make it visible on your site. Return to your themes page and scroll down to the Uninstalled themes section, where you’ll see your newly uploaded option. If you want to apply the theme to your site, you’ll need to select Install and set as default. This will activate the theme and apply all of its styles and layout to your site. To see the results, you can check out your site on the front end. With that done, you’ve successfully transformed your site with a new theme. Of course, you can continue to tweak and personalize your site’s appearance if you like. 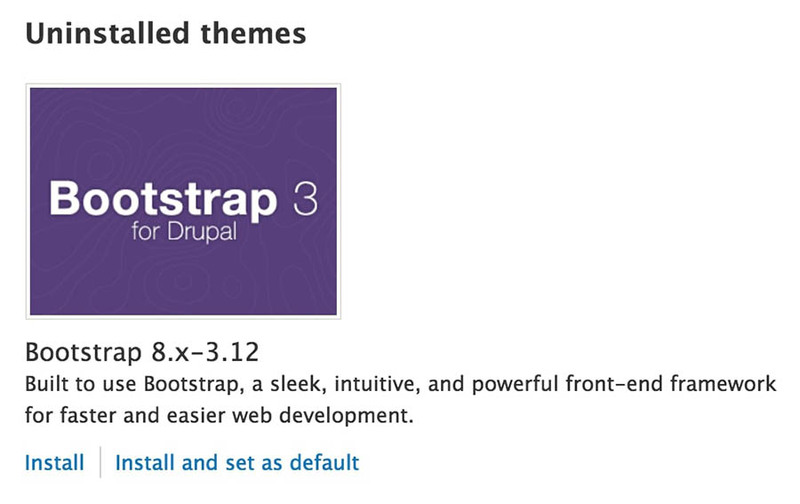 Bear in mind that this is only scratching the surface of what you can accomplish with Drupal. If you’re interested in the platform, we highly recommend digging deeper into the official documentation to learn more about what this powerful CMS can do. 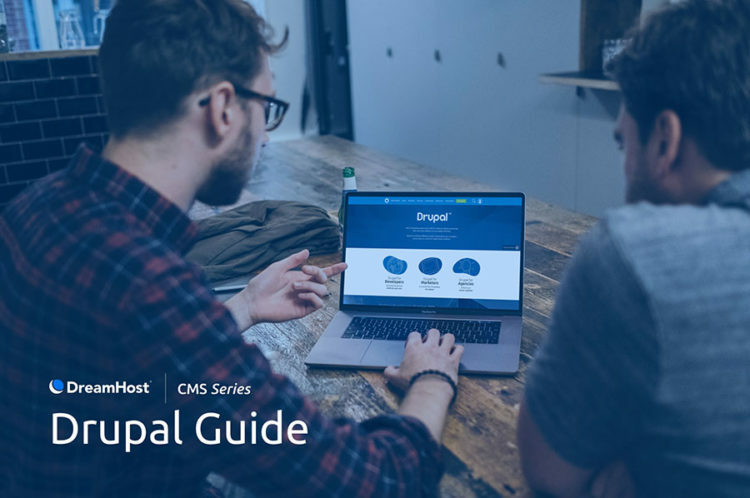 When it comes to CMS platforms, Drupal walks the line between being reasonably user-friendly while offering a powerful website management system. It may take a little more work to get started with than similar platforms, but once you’ve learned the ropes, it offers plenty of options to expand and scale your site. Do you have any questions about using Drupal? Join the DreamHost Community and let’s start the conversation!